When Shane reached out to me saying he wanted to propose on the ice, how could I say anything but YES!? He told me that he's taking her on a "road trip" (flying) so she can see all of his favorite places in the USA, since she'd never had a chance to visit before. 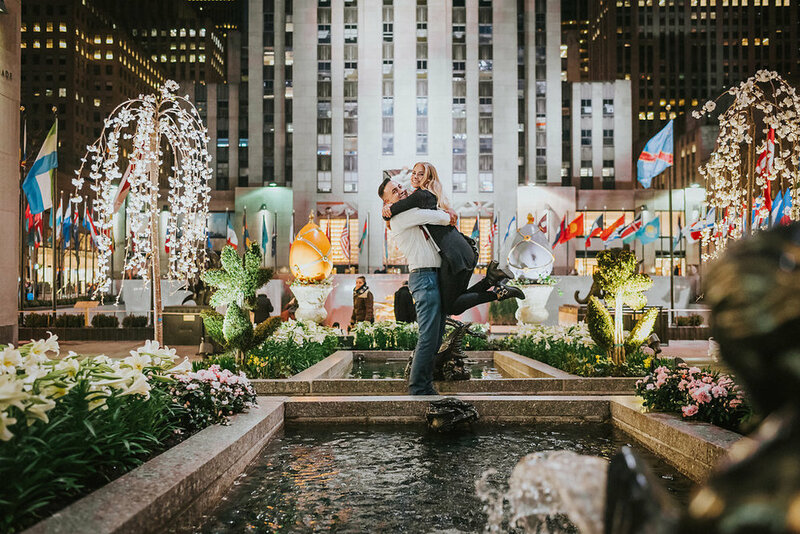 They traveled all the way from Australia and had already seen a couple of spots, but of course, NYC was a huge one on the list!